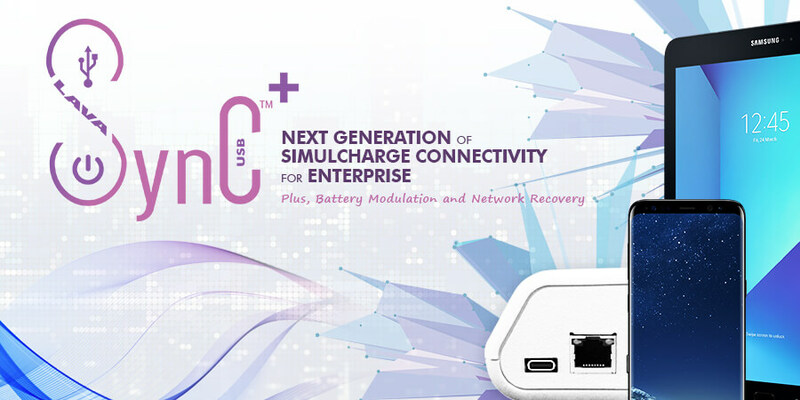 The LAVASynC+ PE is the second generation of our SimulCharge adapters and is designed specifically for USB-C type Samsung mobile phones and tablets. This adapter provides a complete connectivity solution by using our custom SynC™ technology to simultaneously charge and support USB peripherals while they are connected to a mobile phone or tablet. Featuring Ethernet, Power over Ethernet (PoE), Battery Modulation technology, and improved network operation, the LAVASynC+ PE adapter is ideal for commercial grade mobile applications. 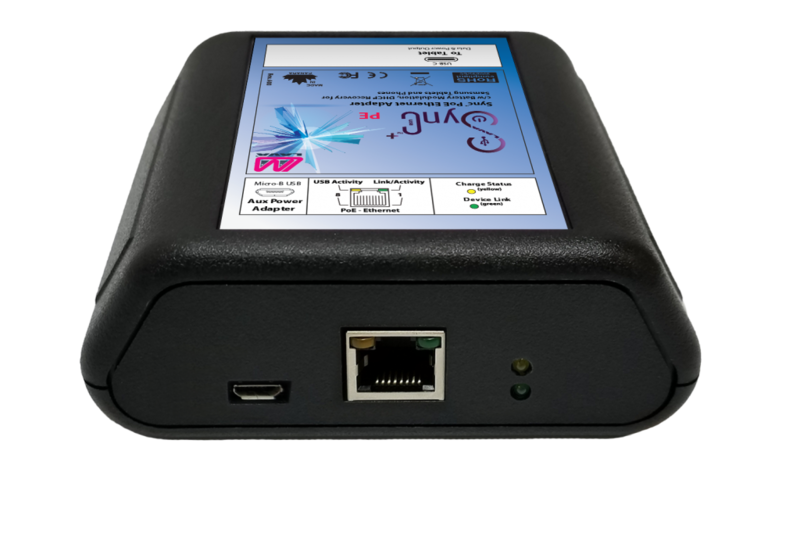 The LAVASynC+ adapters operate a mobile device in SynC mode. This technology allows the charging of the select USB-C type mobile phones and tablets while interacting with USB accessories. Network Recover Operation enables tablet recovery from failed attempts to connect to the network. Power over Ethernet (PoE) allows network data and electrical power to be carried over an Ethernet cable, eliminating the need for an electrician to install a dedicated power drop.